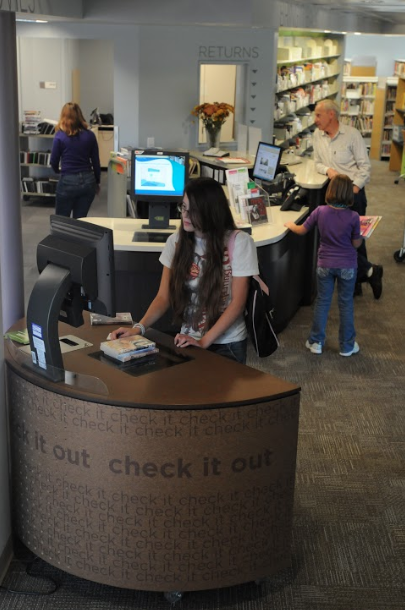 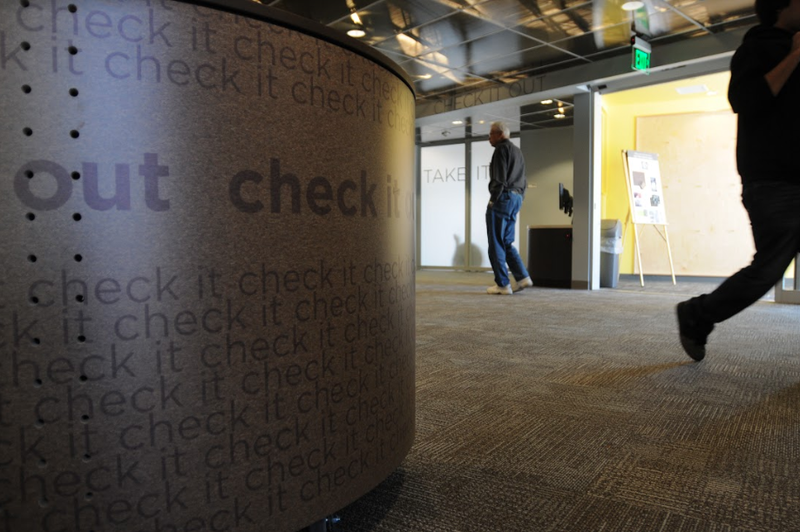 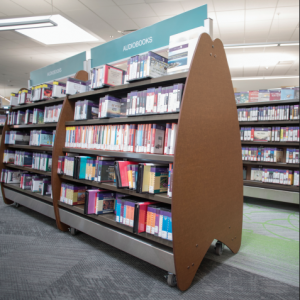 Our Jump stations are designed to put librarians into the natural traffic patterns that emerge within the continuously evolving spaces defined by their merchandising units. 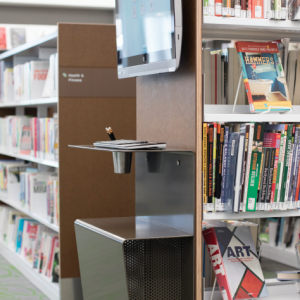 In the new learning environments of today’s libraries, the librarian is less of a research assistant and more of a facilitator of the experience. 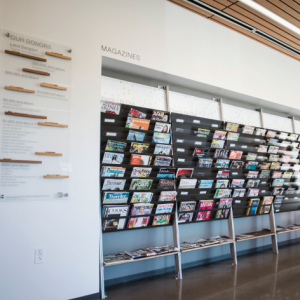 The Jump is not designed to necessarily be staffed full-time. 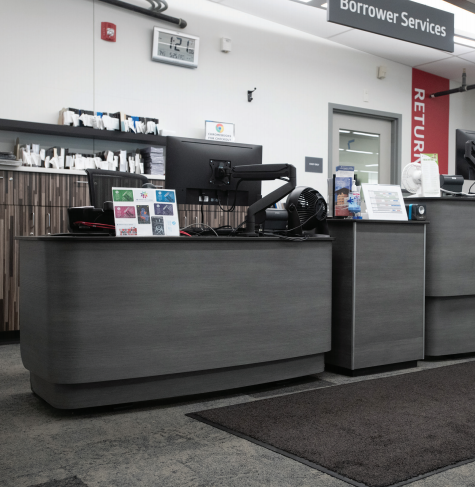 Rather the idea is that the clientele will instantaneously understand that there is a desk within their immediate vicinity where they can attract the attention of a staff member with questions. 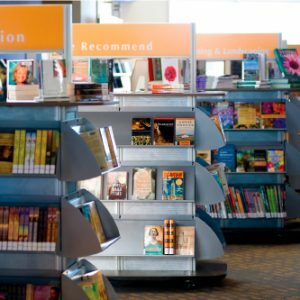 This effectively expands the reach of the librarians and helps to ensure a quality customer service experience for patrons. 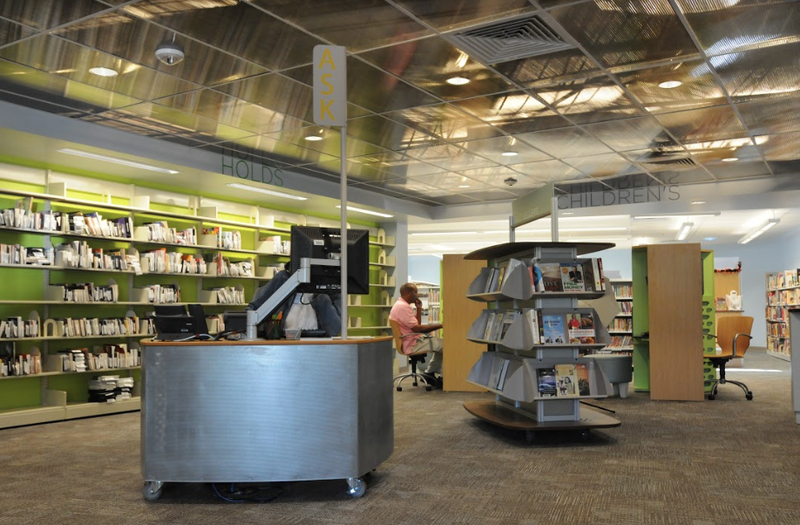 We’ve found that workstations need to be highly individualized for the spaces that they are placed within. 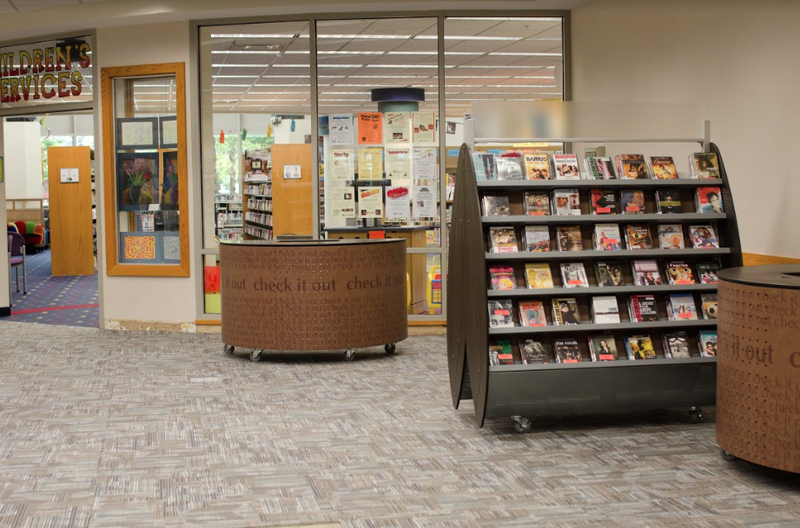 Different librarians continuously change shifts throughout working hours, so our Jumps are typically height adjustable to enable each librarian to achieve their preference as well as those of their patrons whether they’re children, ADA accessible, etc.